By the time you read this, Activision's Call of Duty: Modern Warfare 3 has already sold millions upon millions of copies to a worldwide fanbase and been touted as the biggest entertainment launch of all time. To keep its unprecedented growth up, the franchise has continued to top itself year after year with increasingly elaborate action scenes and refining the same addictive multiplayer formula established in 2007. MW3 stays true to form and continues upping the ante, but whether it advances the template is more up for debate. 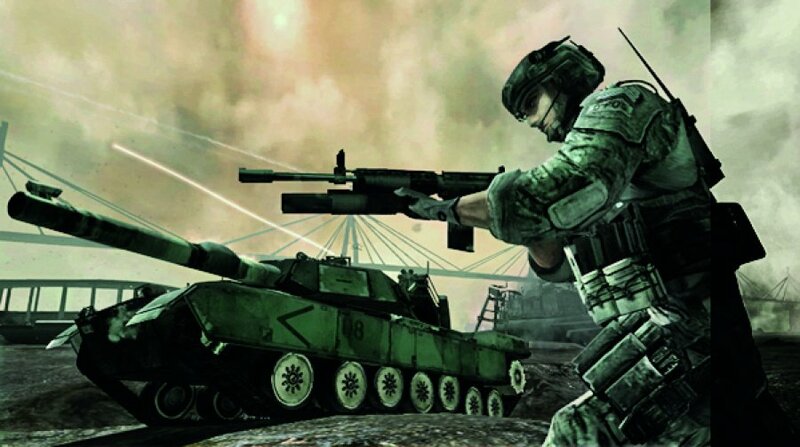 Skipping the second act of the Modern Warfare saga altogether on Wii, the final part of the trilogy picks up around the point in its World War III scenario where U.S. forces and its allies begin to push back against the invading Russian force. Or something like that — storytelling is not exactly the game's strong suit, a muddied mess told in really quick briefings between missions that give you a sort-of idea as to what's happening, but the leaps between events are drastic and often ill explained. 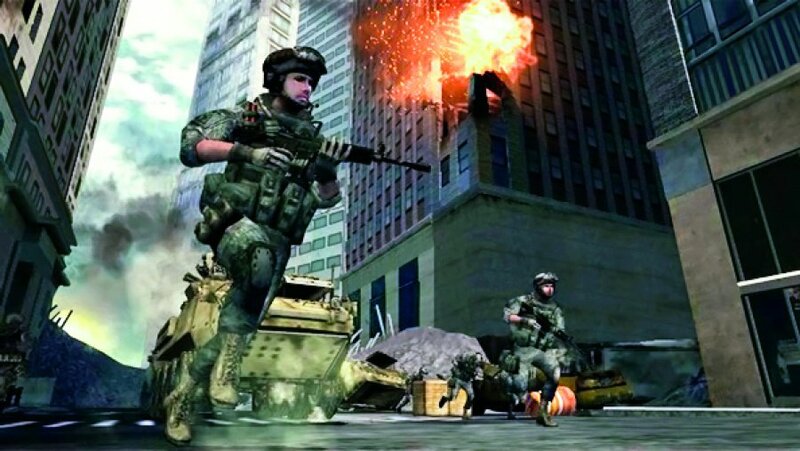 Wii players going from Call of Duty: Modern Warfare Reflex to the events of MW3 will face a huge jump in story that is tough to keep track of all of the conspiracies, character relationships and generally why Russian forces have occupied Manhattan. The real reason, however, is to craft back-to-back white-knuckle missions. 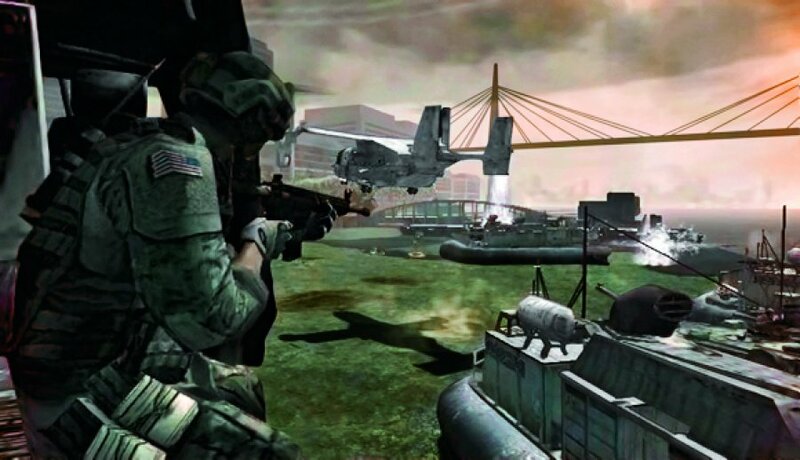 Many a challenger has attempted to one-up the series in the intervening years since Modern Warfare first hit, and Infinity Ward escalates to ridiculous heights the performance that put the franchise on the map. Set-pieces are varied and filled with places to go and Russians to shoot, but outside of one or two in the six-hour campaign there is nothing here that the series hasn't done before. Still, there's a reason nobody has managed to beat Call of Duty at its own game: its depiction of near-future WWIII puts you in some of the most over-the-top and tight action scenarios the genre has seen. It's an absolute beast of a roller coaster, and boy howdy what a ride. You could make a very persuasive argument that the campaign is too tight, in that there is no room to breathe between shooting things, being shot at and general stuff blowing up — with bombast firmly cranked to 11, that 11 becomes the new normal and much of the emotional impact of seeing the destruction of some of the world's greatest cities and landmarks is lost. 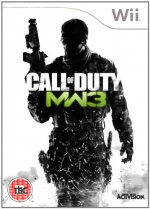 MW3 contains possibly the most heavily scripted campaign of the franchise thus far, clearly defining every moment so as to maximise the thrill ride but minimise the sense of player control. There's a clear-cut path that you're discouraged to stray from, turning most of your "objectives" into following AI companions as they bark orders at you or leaping into in one of many turrets. Its path is well tread at this point, hitting many of the same beats as post-Modern Warfare Call of Duty titles that contribute to a heavy sense of deja vu throughout. The formula has done the franchise well so far, and if you've played any of its non-WWII entries then you know exactly what to expect. The behemoth multiplayer component hasn't changed too much from Modern Warfare 2, and anyone looking for more Call of Duty will do well here. Disappointingly, MW3's multiplayer component has left out all of the interesting new ideas and modes introduced in Treyarch's Black Ops like Gun Game, One in the Chamber or the CoD Points system. It feels like a step back in many regards, especially for those who spent many an hour online in Black Ops' alternatives to Team Deathmatch and hoped to see enough improvement to warrant the +1. But saying that nothing is new would be disingenuous, since what is new is a re-balance of the old — and the 16 new, well-designed maps are nothing to scoff at either. You now level up individual weapons to unlock attachments and their own perks, the HUD is tightened up a bit and smart changes to killstreaks and weapons helps balance things out from the wobble-fest of MW2 — but none of it feels like much of a refresh of the formula that, due to annual entries and intense copy-cat competition, is getting a bit long in the tooth. New to Wii players is Special Ops mode, although it's not quite the same as its HD brethren. 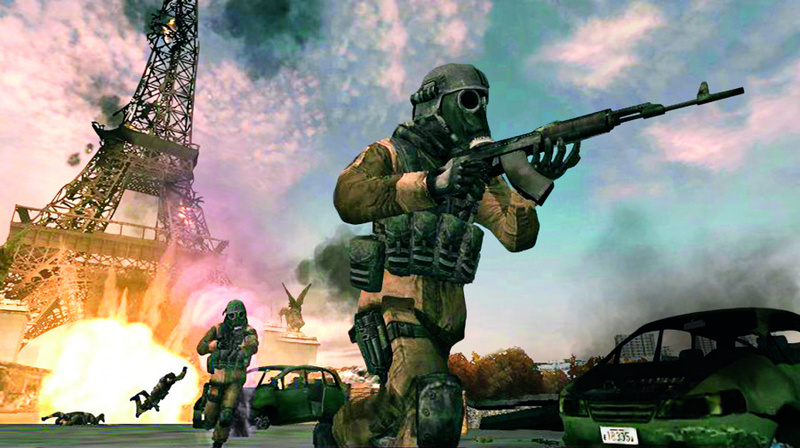 Out are the whiz-bang, bite-sized arcade missions and in their place is score-based Survival, a modern-era evolution of Treyarch's popular Zombies mode. Played either solo or with a partner, but demanding an Internet connection either way, ten waves of enemies come at you in one of 25 stages. You start off with a pistol and quickly arm yourself using cash earned based on your performance that can be spent on new weapons, ammo, explosions and support packages. It's not a wholly different experience from Zombies apart from tongue firmly away from cheek, and having the actual Special Ops mode would be preferable if only for diversity's sake — but the plethora of extra stages over Black Ops' solitary Zombies map provides a satisfying co-op alternative to the typical versus kill-fest. It would be loads more fun with local multiplayer, but unfortunately that is one of many compromises Wii players still have to live with. Wii players again face a few compromises in features compared to its HD siblings: a few killstreaks are still out as well as killcams, the longer campaign stages have been broken up into smaller chunks, player count hasn't budged over prior games and support for the new Call of Duty Elite subscription service is non-existent. MW3 does retain Headbanger voice chat support as well as patching, the latter of which can only be a good thing considering the shaky, somewhat buggy ground upon which it currently stands. Plagued by hit detection issues, lag and failing to load parts of the HUD from time to time, getting a technically sound game going is more difficult than it should be for the time being. However, Treyarch's technical proficiency is not to be doubted as MW3 is the prettiest Wii entry the series has yet seen, although it still pales in comparison to on beefier hardware. The frame rate holds up reasonably well during huge set-pieces while maintaining a nice level of detail throughout, although you won't be seeing the 60fps that the series is known for in HD and things can drop well below 30fps in multiplayer. Lighting and shadows see marked improvements over Black Ops to help give the world a more rounded feeling compared to last year's somewhat flat look. Modern Warfare 3 doesn't blaze much new ground and Call of Duty players will feel instantly at home with the game's heavily scripted machinations, so those wishing to see the series deviate from the norm are in for disappointment — and while there may be a twinge of fatigue setting in to the formula, Infinity Ward still outpaces the competition with a smartly updated, still addictive multiplayer and roller coaster campaign that are both fun while they last, but there's little sense that this isn't just more Call of Duty. Treyarch's technical prowess gained from bringing Call of Duty games on the platform shines through and through for the best-looking one on Wii yet. It's not exactly on par with the HD versions concerning fidelity or features, but considering the difference in horsepower MW3 on Wii is undeniably impressive. MW3 may not make you rethink the Call of Duty series, but it'll certainly satisfy its army of fans. I honestly didn't even know that there was a Wii version of this game. Treyarch delivers once more. A single player mode worth playing, an online game that will be well worth playing for many months ahead and Special Ops on the Wii for the first time. The best FPS on the Wii next to Black Ops IMO, a define worthy purchase. @NotUberAwesome Treyarch made the Wii version as usual, and Infinity Ward made the Xbox 360, PS3 and PC versions. @6ch6ris6 - Well, seeing as IGN's reviewers are biased gamers who believe it all lies in the PS3/360, it isn't surprising they'd give a high-ranking FPS like this on the Wii a score like that. In my opinion, CoD just really shouldn't be on the Wii, it just devastates the whole purpose of Nintendo. I don't own a single CoD game and I'm not about to buy one now. I'm not a big fan of first person shooters and I have a few that are more than enough to satisfy me if I want a FPS fix. Still just waiting for the 24th to roll along so I can pick up Skyward Sword and Mario 3D Land. Not interested in this series on Wii, although I'd be tempted to buy the game if they release a 3DS version that's anywhere near as good as RE:Mercenaries. I have good memories of playing CoD in the computer lab after school. Unfortunately, in those ten years since then I have not seen a reason to play any of the newer versions that have come out since then. If I were to rate it I'd give the single player an 8-10 but the multi players 5-10 at best. Hopefully a patch can at least bump the online number up but right now its trial and. Error on the hit detection. Lag is a problem as well but the hit detection is worse! I love the Cod series on the Wii. I have yet to see any other game get motion control as good as this one. Yes, Metroid was a good game, but (while sharing a similar genre) was a completely different kind of game, and it does neither game credit to try and compare the two. It's just wrong! I'd have to agree with the rating. 8/10 is an honest score, making it worthy of sales, but hardly a game one should be obsessed with... at least not without a little time in between obsessed gaming periods. Speaking of such, I think I hear the Wii calling my name. I'm thinking a 7/10 would be a perfect score for this game. I love the Wii versions of CoD. Shake the nunchuck to reload! The Wii version is a big downgrade. man, dont forget the humongous Skyrim. This is one hell of a huge game. what did you expect from MW3 Wii. a shooter on the Wii other than metroid is ridiculous. unless its something cartooney or with aliens, i dont even see how developpers care for the Wii. Wii is good for childish or bright and simple graphics, but not for realistic graphics. Ahem, this is Activision we're talking about. I don't know about Treyarch, but Activision wants as much money as possible. Hence, we have Call of Duty on Wii. They also sell well on the Wii. I'll get this game...when it's $20. sometimes I wish I could curse on this forum. The Pretentious FPS hate must stop. When the Wii-U comes out your going to get alot of it. And if I remember Nintendo published the COD of the N64 era. I know a lot of people prefer the Wii version BECAUSE of the use for the Wii-mote and Nun-chuck. They say it feels much easier to use. And of course if all u people really are Nintendo fans then u wouldn't care about the graphics or how much it looks down graded. This is just based off of what i have seen and heard. IF and i do mean IF i buy it idk wut version id get. I still prefer Conduit 2. I got it for PS3. I love Call of Duty, MW3 is awesome! @22: Please don't insult GoldenEye by comparing it this steeming turd of a franchise. Those of us who played real FPSs back in the day hate this crap that companies shovel out these days. Hence the hate. Good to see another 1st person shooter on Wii! Might give it a try if I beat Skyward Sword too quickly. More like a 6/10. MW3 on PS3 is vastly superior. @shingi_70 If Nintendo published a new Goldeneye game every year for $60 then I would agree. Glad to hear Wii owners got another good COD game. I very much enjoyed Black Ops on the Wii. Meh, I'm still playing Goldeneye on my Wii at the moment. Will probably get this when I get to level 56... Which takes FOREVER!!! Finally a good, objective review on this game! Me thinks the people who reviewed the PS360 version were biased. Been a faithful CoD wii player since WaW. I am really enjoying MW3 and the patch for lag shooting has just gone through which highly pleases me. The thing that dissapoints me most is not having 12 player lobbies. It's still a tad hard to keep the action going with a smaller player count than the other consoles. On a lesser not from what I've seen camos are still not visible on player characters[another player's camo is not visible from your perspective without actually picking the weapon up from the ground] and can only be seen from First person perspective... suppose that's not any big deal by any means, but it would be nice to show off the camos to other players you earn like Reflex was capable of. Nice to see there still are quality games coming to the Wii. Since i won't get much out of the multiplayer i'll wait until this one is quite a bit cheaper. Yeah like was mentioned up above. The new patch that came out yesterday was a good one. If fixes most of the problems. Now the game plays so much better! Really fast game now. I'm not complaining nearly as much as before. Give it a shot if you like wii remote fps! My nintendo console fps fix can wait till battlefield 3 comes to wii u. See why IGN is not supposed to review Wii Games? it's so hilarious to me that as I understand it, MW3 for the PS3 doesn't have Move support... that kills me. Seriously? If there ever was a useless phony peripheral - this is it. I feel sorry for those that have it. I don't mean to suggest that the Wii version is the best. I don't know. The graphics are important. But from my experience in other Modern Warfares for the Wii, the IR controls are superb and a pure joy. Even with Move, it will be inferior to the Wii controls. And it doesn't even support it. Not to mention Kinect. As FPS go, Wii is the console... if I do play them, despite the downgrade in graphics, however significant or not they may be. The trouble with the IGN review is that it wasn't reviewing the game on it's own merits, constantly comparing it to the HD versions. Yes we all know they will be sharper, glossier, with better frame rates, improved lighting/textures and have more features etc. But what if you don't own another console? What if you prefer IR pointer controls? We all know the Wii will have short-comings due to its lack of horsepower but I must say I was very impressed with Treyarch's effort here. Presentation is top notch, it is graphically better than the sometimes ugly looking Black Ops on Wii, and we haven't been given some water-down Wii only version that so many developers are guilty of; Need for Speed, FIFA, Driver, DIRT etc are all awful versions based loosely on the franchise, farmed-out to third parties, with little time and resources allowed. 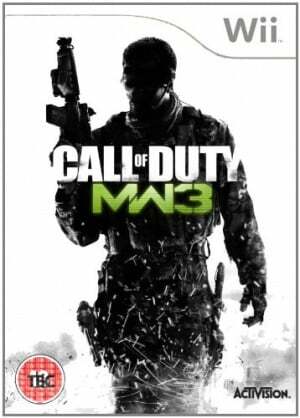 Treyarch should be commended for delivering a decent version of MW3 to Wii owners, It sits side-by-side with Rock Band 2 and 3 and DJ Hero 1 and 2 as one of the best multi-platform Wii games. Thanks for giving us online co-op/multiplayer, voice chat, classic control support, patch updates etc. The knock in graphics really didn't take away from the immersive experience in the campaign. This is as good as it gets for Wii owners, the developer has pushed the format to it's maximum and it is a good swan-song for the CoD series to finish on Wii. I finished it on the Wii before getting it on the PC... A week before launch. I think I liked playing the Wii version's singleplayer more than the PC's with all its grittiness. The framerate could've been better at times, but it was still a great game to play for 5 hours. The multiplayer didn't even lack players, but the lag was there. Had to shoot with akimbo weapons for a firerate boost and aim ahead targets to hit anyone moving. So glad to see I can get decent Nintendo reviews from Nintendo Life. G4, IGN, GameSpot and the like all rate Nintendo products so low for almost no reason...unless it is one of the ultimate Nintendo first-party games... Anyway, I'm glad to see that a DECENT GAME got a DECENT SCORE. As opposed to getting a horrible score because it is on the Wii. I would recommend getting the Headbanger Headset with this.It's fun to chat with people online and feels like I'm on a phone.